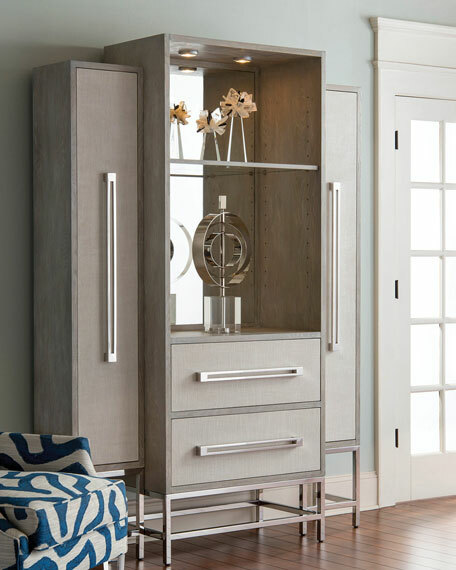 Center section of this cabinet features two linen-faced drawers, an open display area with shelving, a modern mirrored back and touch lighting. The two outside cupboards are set back and have linen-faced doors. Stainless steel hardware accent handles and base of cabinet. 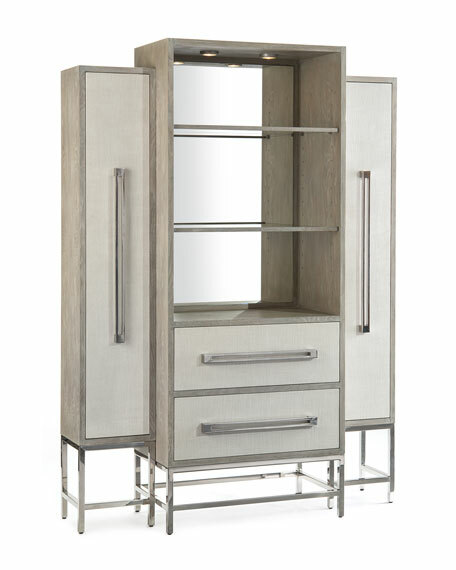 Features two doors, two drawers, and eight adjustable shelves. Two bulbs required; 10'L cord; switch at right door hinge. 60"W x 19"D x 84"T.